Yamla Pagla Deewana Phir Se Box Office: What a fall it has been for the team of Deols with Yamla Pagla Deewana Phir Se. The film has turned out to be an out and out commercial disaster, what with a mere 10 crores* coming in the first week. The film has a terrible start with collections staying under the 2 crore mark. Then there was no rise whatsoever during the weekend. As for the weekdays, the numbers sunk further and not even 1 crores per day came in. It was not a matter of audiences rejecting the content of the film; it was about them not even caring about what this Navaniat Singh directed affair had to offer. What was funny many years back with Yamla Pagla Deewana only went downhill with the sequel. The signs were all there when the second installment of the franchise didn’t succeed. Still, for some inexplicable reasons, the team of Dharmendra, Sunny Deol and Bobby Deol decided to come up with the third part. As it happened though, no one really cared right at the time of the promo unveiling itself and post that it was a matter of just counting days before the film hit the screens and then crashed completely. Yamla Pagla Deewana Phir Se has found no takers whatsoever and just like Saheb Biwi aur Gangster 3 which marked an end to the franchise, this one too has just the same. Though there have been some flops and disasters in 2018, the manner in which Yamla Pagla Deewana Phir Se has been rejected is on the same lines as Fanney Khan which just couldn’t generate any interest whatsoever amongst the audiences. With hardly any shows in the running during the second week, it is curtains for the film in real quick time. 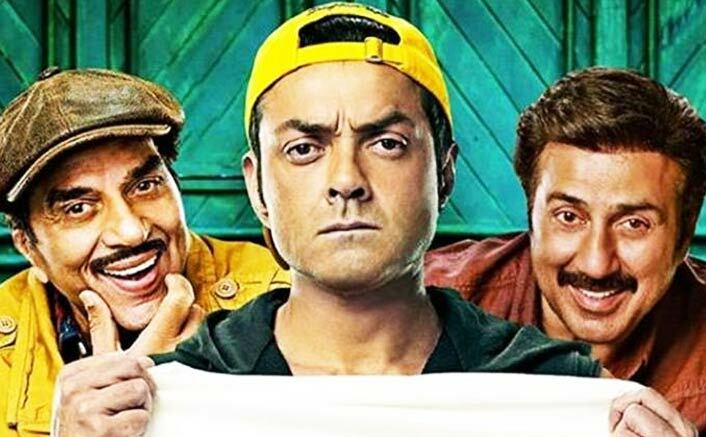 The post Yamla Pagla Deewana Phir Se Box Office: Has A Disastrous First Week appeared first on Koimoi.